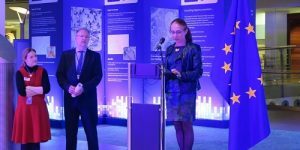 National Mapping, Cadastral and Land Registry Authorities have demonstrated how their maps and land information can help the European Commission to achieve the EU’s priorities. The two-week Maps for Europe event in Brussels focused on the use of geospatial data to better understand information related to people and places. It was organised by EuroGeographics, the membership association for European National Mapping, Cadastral and Land Registry Authorities in collaboration with Eurostat, the statistical office of the European Union, under the patronage of European Commissioner Marianne Thyssen. Speaking at the opening reception, Walter Radermacher, Director General of Eurostat emphasised the importance of integrating statistics with geospatial information. “The goal of the European Location Framework is to deliver authoritative, interoperable, cross-border data to benefit both the public and private sectors,” he said. 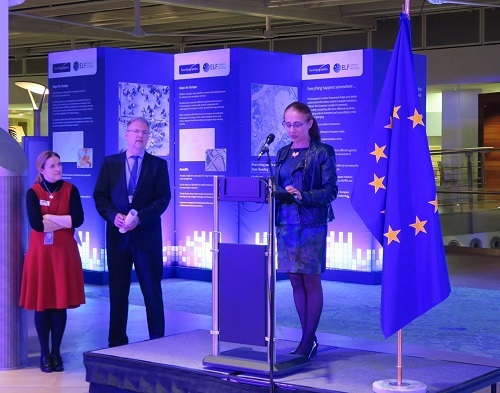 The Maps for Europe event was held from 16 to 27 November in the Berlaymont, the European Commission’s Headquarters. For further information please contact Rhian French on +44 1264 300126, +447892 698 350(mobile) or email: press@eurogeographics.org.